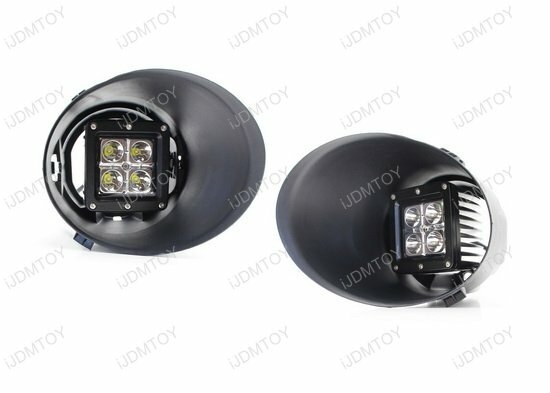 Q: Will this LED fog lamp kit fit my vehicle? 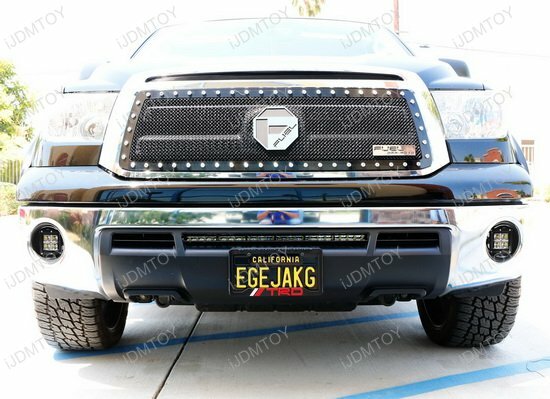 Q: How do I install the Toyota Tundra LED Fog Light Kit? 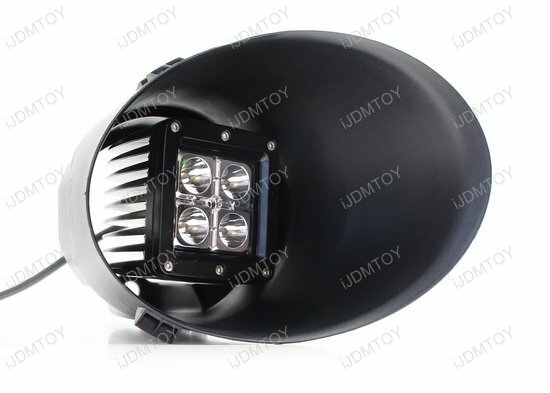 Once you've assembled the LED pod lights, insert the LED pod lights, insert the LED pod lights into the bezel. 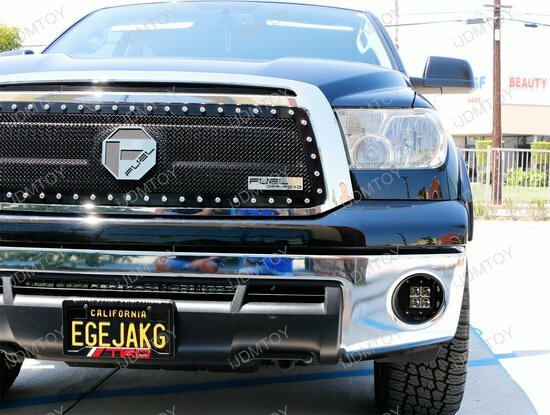 Pay attention to the L or R notation. 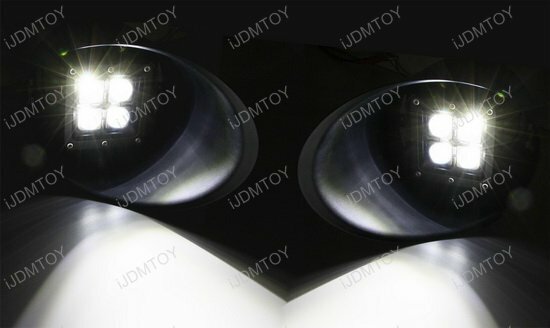 Take a bolt and screw the LED pod light and the bezel together. Tighten with a wrench. 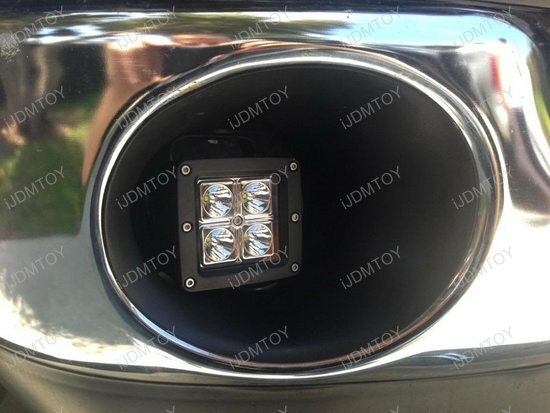 Directly install the assembled LED fog light into the fog lamp opening. 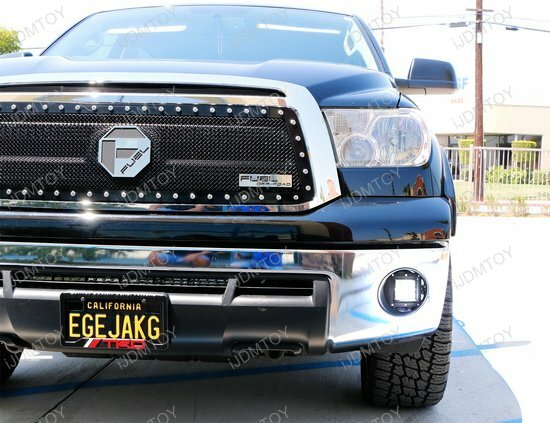 Secure the bezel into the opening and bolt everything in place. This kit comes with a wiring harness and switch. 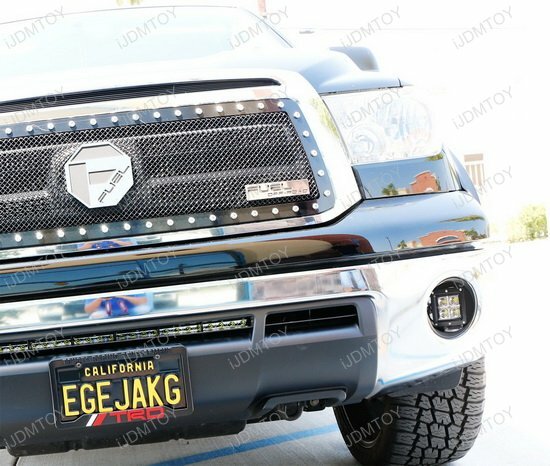 For wiring guide, please visit truck LED wiring guide. 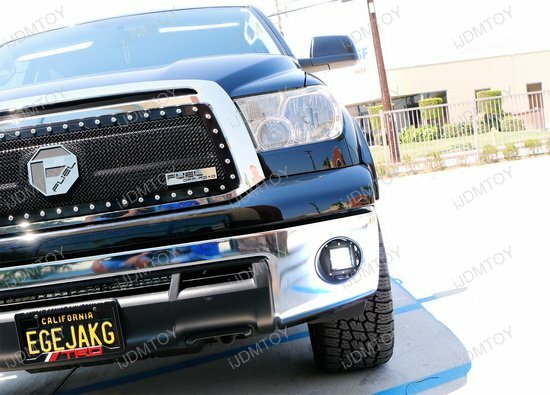 This page features a complete set of 40W high powered CREE LED fog lights for the 2007-2013 Pre-LCI Toyota Tundra. 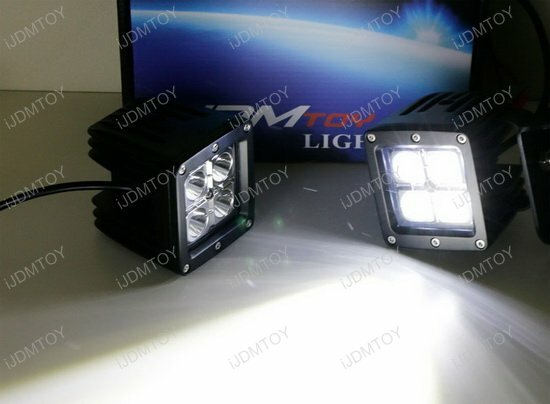 You get 2 pieces of 3" cube shaped LED lamps that are powered by 20W CREE LED and have a spot beam pattern. 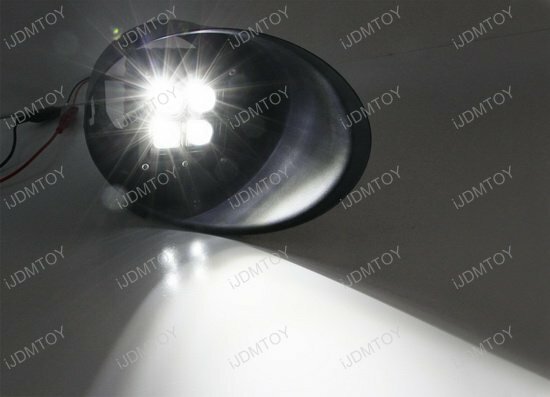 Each LED lamp has 4 pieces of 5W CREE XP-E LED lights with 6000K xenon white color temperature. 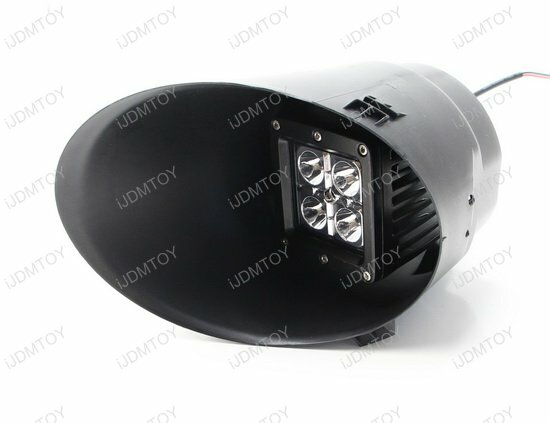 The complete kit comes with the LED pod lights, bezel covers, mounting screws, and a relay wiring harness with switch. 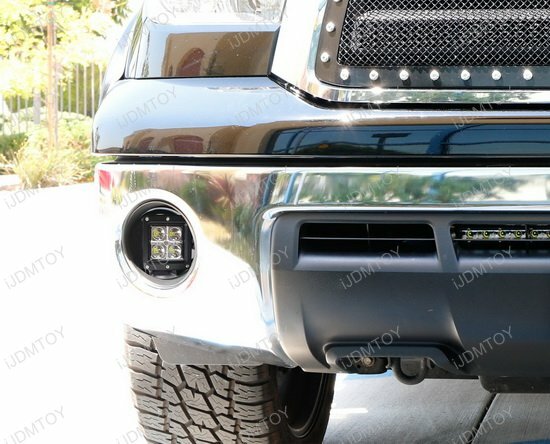 If you wanted to add a superior lighting option for your Toyota Tundra, then look no further because the output and design of this LED fog light kit is unrivaled. 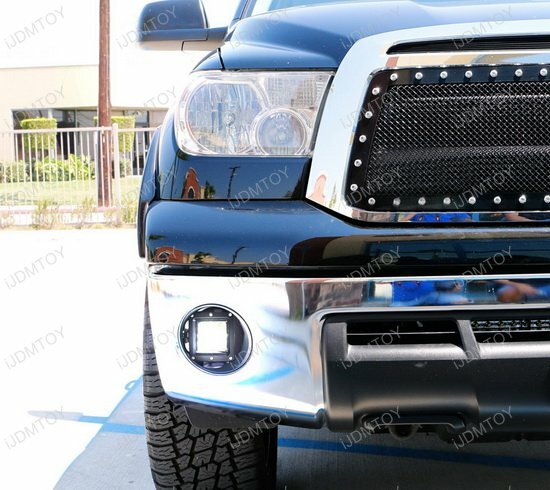 You can install these LED fog lights to add fog lights for your Tundra or upgrade the existing halogen fog lamps for unparalleled LED fog lights.